Sun, Oct 20, 2019 | Registration coming soon! 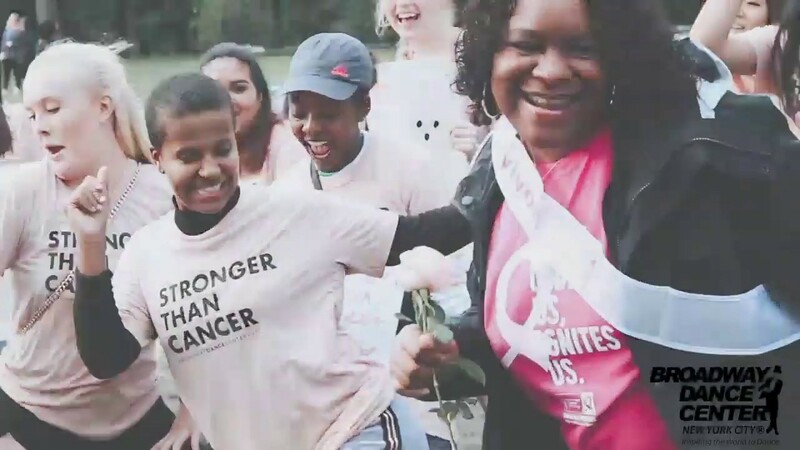 Each October since 2006, our BDC family gets together to support the American Cancer Society's Making Strides Against Breast Cancer walk in Central Park. Throughout the years, we've raised thousands of dollars to support the American Cancer Society's efforts to treat and cure breast cancer, as well as raise awareness of the disease. When it comes to walking, the more the merrier! All walkers will get one of our snazzy Team BDC Making Strides shirts! WALKERS will meet at 9:00 am on 74th St. and Central Park West, then enter the park together to start the walk. Go to our Team BDC page to make a donation online, or drop some change in the donation buckets that will be at the front desk throughout the month of October. Every little bit helps! Support in an official Team BDC Making Strides T-Shirt! Each year, we sell our signature Team BDC Making Strides T-Shirt in The Shop at BDC after the Central Park Walk! All net proceeds are added to our total team donation. Look for us in the studio Oct 16 and 17 as we make signs for our walkers and dancers to tote in Central Park on the day of the event. Feel free to pull up a chair, roll up your sleeves, and perhaps get crazy with the glitter glue! See photos from previous years!